I’m the proud mother of two redheaded boys, Tyler and Sam. I constantly joke with my husband that both boys earn their red hair! Our house is in constant commotion. There are always extra boys around. We live by their activity schedules. There’s never enough food in the house, and dirty laundry piles grow to the size of a mountain. Mornings are particularly stressful. More times than I can count I hear, “I’m not done yet” in the morning. None of us likes getting up and dressed to leave by 7 a.m. weekday mornings. By the time we leave, I sometimes feel I’ve worked a full day. One morning was no exception. Tyler and Sam were very difficult to manage. No one had slept the night before. Sam was sick. I couldn’t wait to escape to work. My husband volunteered to stay home to take Sam to the doctor. As Tyler and I rushed out, late as usual, Sam followed us to the doorway. Waving goodbye, he said, “I love you Mommy. Have a good day at school.” His voice was so sweet I looked back. The sight of my little two-year-old standing there in his pajamas, waving that cute little chubby hand, broke my heart. I ran back, gave him a big hug and told him Mommy loved him too. 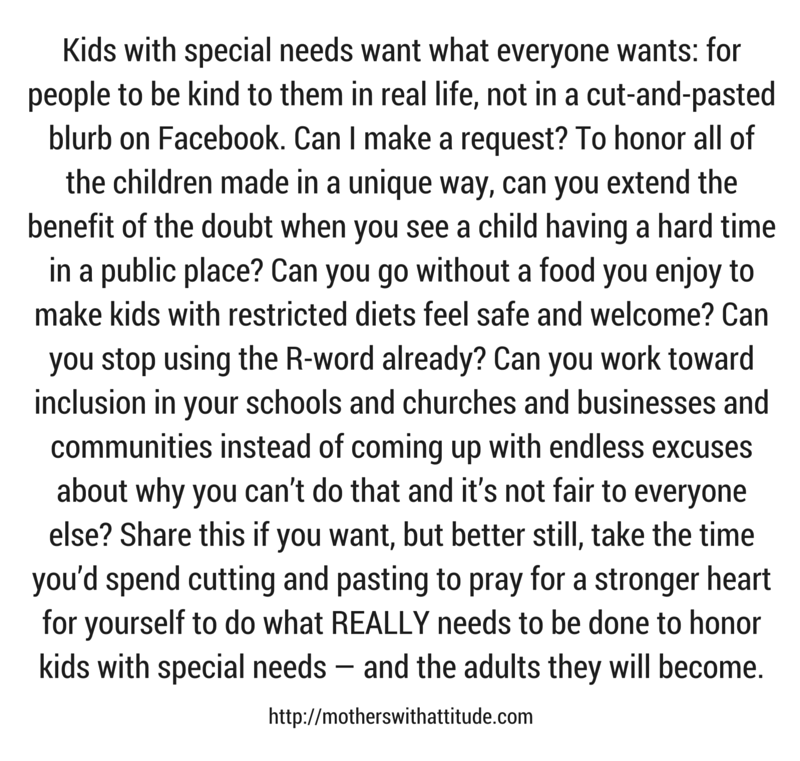 I’m a special education director. I spend days meeting with parents, testing students with disabilities and deciding what’s best for them educationally. This day I was at the State School for the Severely Handicapped. The meeting was about a lengthy list of skills that the parents of a handicapped child in our district needed the state school to address with their child. I sat there in amazement. These parents had never heard those three simple words. Words I take for granted every day. I sat thinking back to that very morning, when Sam stood waving at me, telling me he loved me like I was the greatest person in the world. Suddenly, my hectic mornings, sleepless nights and boisterous boys were a real blessing. The answer both shocked and humbled me on what I have to be thankful for with my two redheads. Alex, we’ll strive to teach your child to sign so you can hear “I love you.” In the meantime, you’ve taught me a lesson I’ll treasure always.